Mix all cheesecake bottom ingredients. Make a dough and roll. Put into a prepared tin, greased with butter and flour. Put curd cheese with sugar and vanilla sugar into the bowl, mix until smooth. Stir the butter together with egg yolks, add the cheese mix and stir slowly. Add whipped egg whites, starch and flour. Add mixture to the tin with dough. Bake at 160-170 °C for 1 hour. 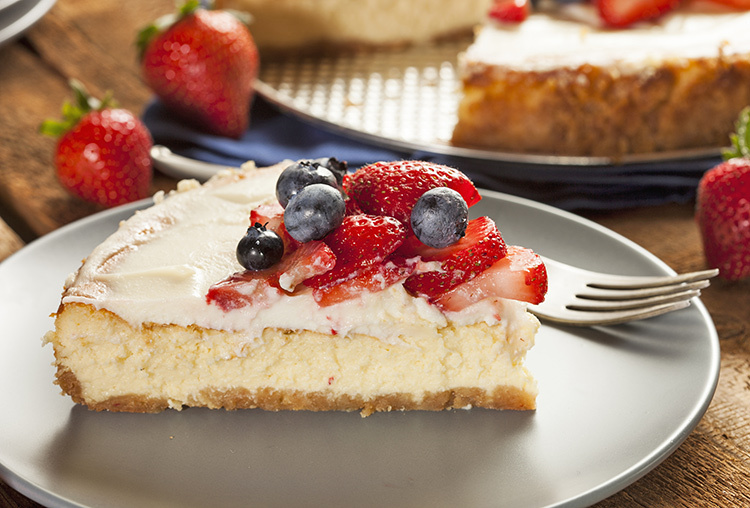 Finish with a caramel topping or thinly sliced strawberries and blueberries.